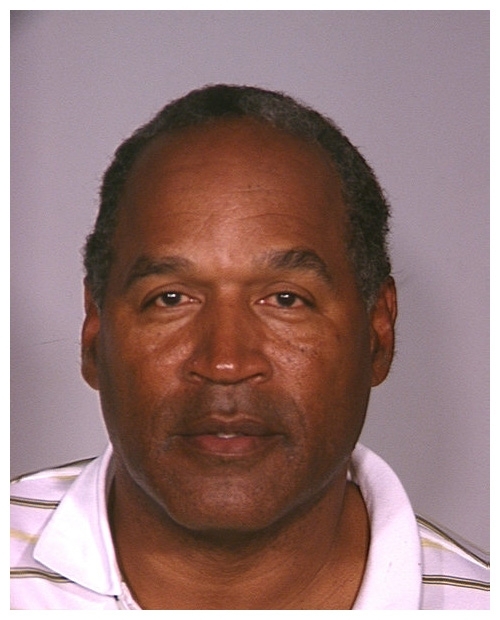 Jailed in advance of a bail revocation hearing in Las Vegas, O.J. Simpson posed for this mug shot at the Clark County Detention Center in January 2008. Prosecutors alleged that the retired athlete, 60, attempted to pass a message to a co-defendant in his robbery case, despite a court order barring any such contact.